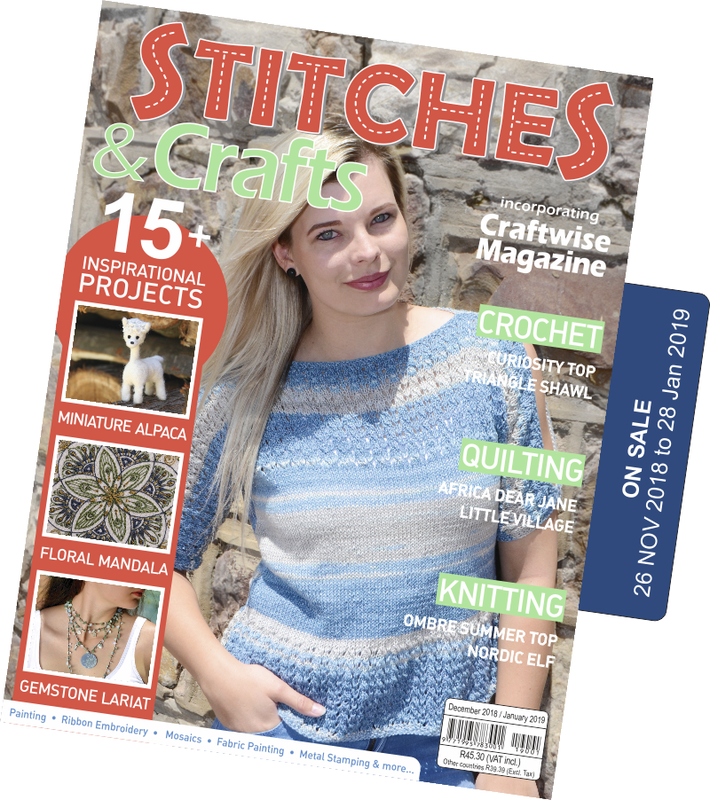 Our brand new magazine Stitches & Crafts is now in stores all over Southern Africa. Incorporating our two much-loved specialist magazines Craftwise and Stitches, our new title Stitches & Crafts features step-by-step projects and articles relevant to all handcrafters. Whether you use a needle, brush, pen or cutter, Stitches & Crafts will provide you with the inspiration that you seek.